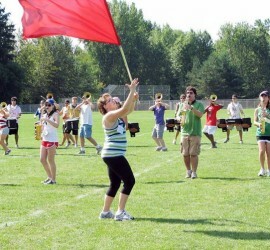 This entry was posted in Articles and tagged Band camp on August 6, 2013 by gsbands.org. It’s here — time for band camp! Please go over the schedule and see our last post for LOTS of detailed information about what to expect during the next few weeks. If anybody has any questions or problems, please email Mrs. West or another staff member.